Fares Hammadi and Ibrahim Abdel Qader from Raqqa is being slaughtered silently have been killed by the hands of ISIS in Turkey on October 30, 2015. This is not the first time ISIS has silenced and killed activists in Turkey. A suicide bomber was captured close to buildings that house Syrian civil society actors in the southern Turkish city of Urfa. 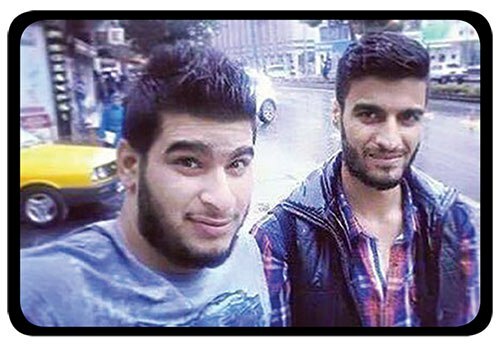 Around the time of Ibrahim and Fares’ death, Turkish authorities disassembled a car bomb and detained two people close to the crime scene. Although ISIS does not have the intelligence capabilities of world class nations, the information age has facilitated the extraction of sensitive information. Adversaries, like ISIS, can now easily access sensitive online information, especially since the majority of people fail to take measures to adequately secure their digital information. Many Syrian activists falsely believe they are safe because they are no longer inside Syria; however, recent tragic events in Turkey would suggest this is not true. Syrians should always remain vigilant in the region and avoid publicly revealing their locations, always use a fake identity when working on sensitive material available to the public and think carefully on where you are meeting people publicly. You can read the original Arabic article posted on the Rising for Freedom website here.